The RP plan gives you all the coverage of YP and APH, plus protection against loss of revenue caused by yield and/or market fluctuations. RP is the old CRC & RA that have been converted to the new single revenue plan called RP. It allows you to “lock in” your guarantee at a pre-determined price. The RP plan is available on Barley, Canola/Rapeseed, Corn, Cotton, Grain Sorghum, Soybeans, Sunflowers, and Wheat. Prevented planting and replanting protection is part of the policy. RP can also be purchased with the Harvest Price Exclusion. RP has all the same benefits of RA/CRC had in the past. The YP and APH policies insure producers against yield losses due to natural causes such as drought, excessive moisture, hail, wind, frost, insects, and disease. The YP plan is available on Barley, Canola/Rapeseed, Corn, Cotton, Grain Sorghum, Soybeans, Sunflowers, and Wheat. The primary difference between YP and APH is how the price is determined. Crops insured through YP have a price set through a commodity exchange price provision. The APH plan is available for crops that do not have prices set by a commodity exchange. The price for APH is set by the Risk Management Agency (RMA). 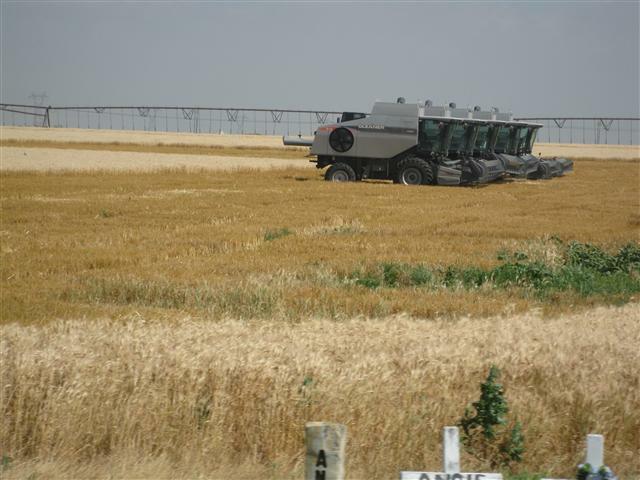 Losses occur when the harvest yield is less than the yield insured due to a covered peril. Late planting, prevented planting, and replanting protection is part of the policy. YP/APH is very similar as they were in the past and still have all the same disadvantages as they had in the past. It is fair to say that sometimes but not always that the price for YP will be actually higher now than in the past since the price will be more reflective of RP now. 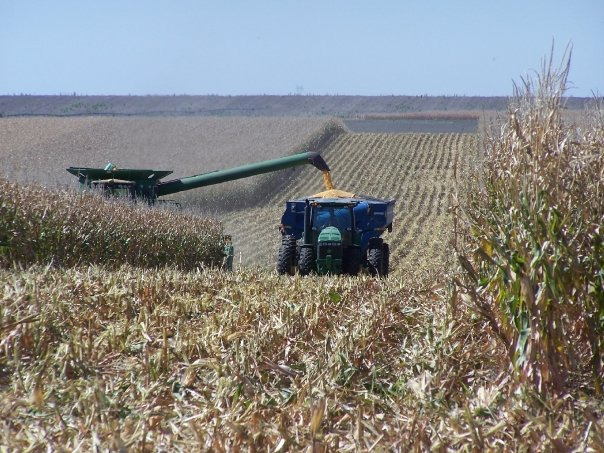 ARP is a county-based revenue insurance policy that pays the producer in the event the county average per acre revenue falls below the trigger revenue level selected by the producer. ARP is similar to the old GRP but guarantees revenue instead of yield. Losses are not paid based on the producer’s individual revenue level. When the county yield estimates are released, the county revenues (or payment revenues) will be calculated the following crop year. This is not a very popular product in Kansas. 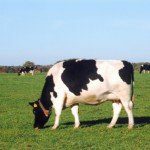 It is our opinion that a producer should notify his lender if he purchases this product as it can be very hard to borrow against a county wide policy. This is an area plan that goes off the county. This product provides the following: expected operation margin coverage, changing price of inputs, coverage levels are from 70-95%. It has a protection factor(similar to ARP) from .8 to 1.2, but is not available in all areas and on all crops, 9/30 is the Sales Closing Date. This product is written with same provider as underlying MP policy. The trigger margin is the insurance coverage. It doesn’t measure individual variable costs and all parameters are set at the county level. Producer individual experience has no control over the parameter since it is a predefined area plan. WFRP is a combo of the old AGR & AGR Lite products, WFRP is essentially whole farm insurance, it provides protection against the loss of revenue the producer expects to earn, insures loss of approved revenue, insurance year with this product is defined as how you file your taxes on a fiscal or calendar year, coverage levels 50-85%, WFRP covers revenue produced in the insurance year, provides protection for all commodities produced on the farm including animals, commodities purchased for resale(up to 50% total), excluding timber, forest, forest products, and animal for sport, show or pets. It does provide replant coverage with approval, has automatic indexing for farm growth , you may purchase federal crop policies covering individual commodities, but must be at buy up levels and any losses from these policies will count as revenue earned under WFRP, all farm revenue is insured together under one policy, individual commodity losses are not considered, it is the overall farm revenue that determines losses, the more commodities you have on your farm the higher the subsidy, this policy benefits highly diverse farms, farms with specialty commodities, farms selling direct to markets. WFRP insured revenue is the lower of: your current years expected revenue(determined by farm plan) at the selected coverage level, or your historic revenue adjusted for growth at the selected coverage level. From an accounting angle all revenue is put in the current year bucket, WFRP must have 5 years of tax records with IRS with same tax ID, BFR is available on this product, need to know if you file fiscally or calendar year. Information about what you plan to produce on the farm during the insured year(used to complete the intended farm operations report. It is an interesting product and if interested please call us as we can provide more details and we do offer this product. Supplemental Coverage Option(SCO)The Supplemental Coverage Option(SCO) is a new crop insurance option that provides additional coverage for a portion of your underlying crop insurance policy deductible. You must buy it as an endorsement to either the YP, RP, or RPHPE policies. The Federal Government pays 65% of the premium cost for SCO. Please refer to the SCO fact sheet under the Farm Bill Tab for more detailed information explaining this new product. 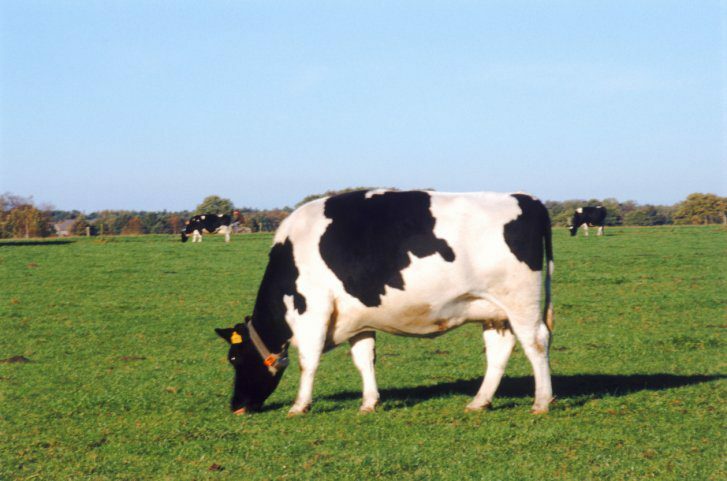 PRF crop coverage is available for farmers and ranchers who rely on pasture, rangeland, or forage acreage for haying or grazing to feed their livestock. PRF is intended for producers whose crop tends to be produced on acreage that follows the average vegetation growth patterns for the grid. Because this plan is based on grid “greenness” data from EROS and not on individual production, you may have poor crop production (forage)in a grid and still not receive an indemnity. This product utilizes grids and “mini insurance periods” with intervals of insurance that can be selected throughout the year. Please call us for more specifics on this product. The deadline for signing up for PRF is now September 30. PRF is a pilot program and not available in all areas. Crop Hail insurance provides the grower protection against any yield reduction caused by hail and/or fire. Other coverages may include fire department service charges, transit coverage to the first place of storage, and replant protection. Deductible options allow you to insure up to the full value of the crop. Companion Hail coverage is also available to insure the portion of the crop not covered under MPCI or revenue insurance policy. Production hail insurance covers on a unit basis, the production portion of your crop that is above your Federal product guarantee. 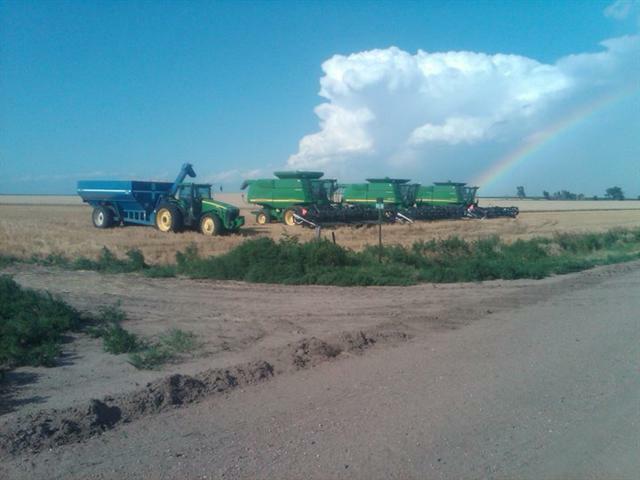 Watkins Crop Insurance writes with several insurance companies to offer you competitive crop hail plans and rates. We also offer several private unsubsidized products from each of our insurance carriers. Many of these products are expensive since they are unsubsidized, but we can provide more information based on your specific risk management needs. Call us today! Damage due to an insured peril that equals or exceeds 0% percent of your selected deductible. The damaged MPCI unit has a production deficiency at the time of harvest. Unit production must be quantified prior to indemnity payment. 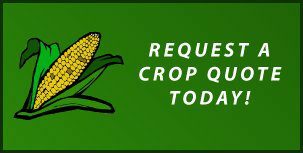 In conjunction with your MPCI policy, the Production Crop-Hail Plan is used to cover actual production deficiencies due to a hailstorm or other named peril. After a qualifying peril has occurred, damage to the unit is assessed; however, final adjustment is deferred until harvest. At harvest, the actual production deficiency for the MPCI unit is used to calculate the loss. The kicker is that the lesser of the harvested production loss or the adjusted loss will be final determination for the loss. The benefit of the Production Crop-Hail Plan is that the producer may be indemnified up to 100% of the value for the lost and/or damaged crop due to hail and is less costly as it pays only for actual production losses due to hail. The main reason Production hail is a good deal in Western Kansas is the rates are higher, but on Irrigated Corn, the 1.20 factor with topside coverage in the event of a loss is generally a better payout when compared to bottom up coverage like basic. Depending on the level of coverage you select and what your APH is will determine when the payment is triggered. But if the adjusted loss is at or near 40% and the harvested yield is at or around the MP guarantee many times this policy will total out. Remember the lower the MP level, the higher your loss adjustment needs to be to be considered totaled. We write our Production Plan with companies that have a strong crop hail program, in case of a loss can pay the claim timely. If you write Production Plan we will recommend the company in our agency that generally has the strongest crop hail program, as the MP & Production plan policies ideally need to be with same company. Looks at exposure on an aggregate basis as indemnity is paid on a UNIT basis, not an acre-by-acre basis. 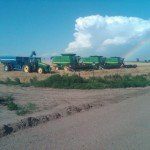 Understands that payment of the loss will be much later in the growing season after harvest and not a day or two after adjustment later like traditional hail insurance plans. Has high APH history and hasn’t experienced a great deal of losses or dings to his/her APH. 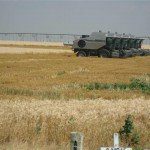 In Western Kansas, it will mainly be for the producer who has irrigated acreage and who writes typically a lot of hail insurance or an amount equal to or greater than expected revenue. For a producer who’s APH’s match or are pretty indicative of how they actually farm in a good(normal) year for their operation. If producer has low APH’s or has the potential to raise way over his/her APH in a good year, then this product may not be a good choice. Is comfortable with insuring all his/her irrigated acres or if doing it on dryland, the dryland acres. We generally don’t recommend this product on dryland, but with APH’s on the rise from record crops, this could change in the future. If he/she is doing this on dryland, we reccommend having APH’s that are not low and haven’t been beaten down from dry years. Is ok with paying premium on all his/her irrigated or dryland acres, whereas traditional plans you can pick individual tracks to insure. Understands that in complete wipeout situations(100% loss or zero production produced) that their could be a cheaper and a higher payout on traditional plans. Understands that no replant buyback provision is allowed in this policy. Understands that we may have to measure bins and verify production before a loss can be paid. Please call us if you are interested in this product, as you really need to understand it inside and out before buying this product.